We have just picked up new trophies for Power Rangers: Battle for the Grid. There are 35 trophies, none of which are hidden. This last weekend was quite busy for the announcement of new titles. There are 10 new games for you to meet today, some of which are sequels to franchises with which you might be familiar. While last week's add-on sale continues for its second week, PlayStation has launched their Days of Play sale, offering up some newer titles and updated the list of games in their digital discounts section. 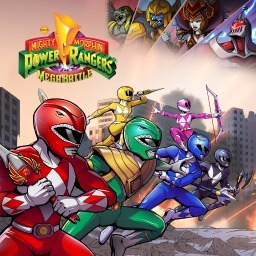 The first Power Rangers game with trophies was Saban's Mighty Morphin Power Rangers: Mega Battle, which was developed by Bamtang, published by Bandai Namco and released on 17 January 2017. The next Power Rangers game scheduled for release is Power Rangers: Battle for the Grid for PlayStation 4, which has a release window of 01/01/1900.